How one photo caused disconcert at one local community. Have there been other abuses at a makeshift day care center? 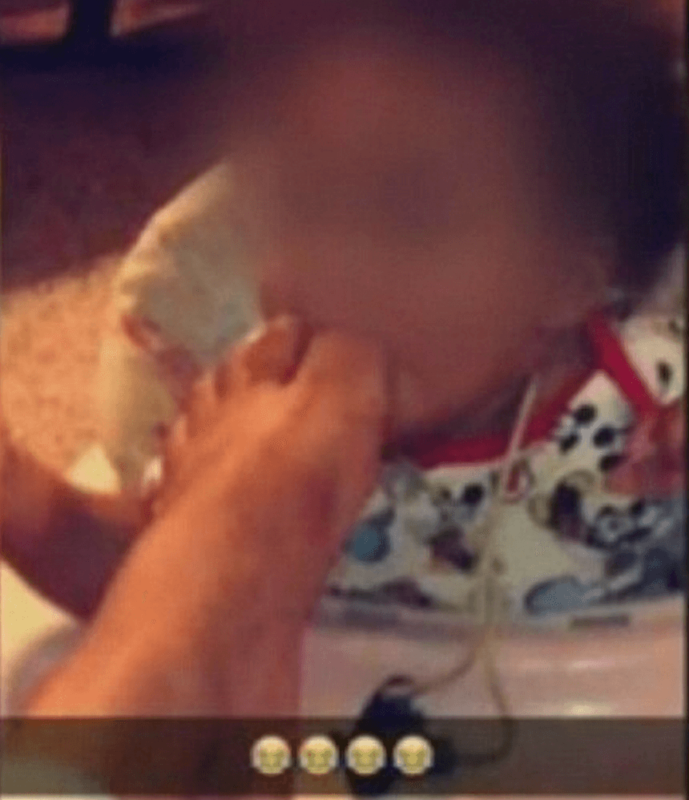 A 15 year old teen visiting a friend at a residential day care facility in Gaffney, South Carolina has caused disconcert after posting a photo on Snapchat of her sticking her toes in the mouth of a seven month old baby. At the time of the posting, the teen posted the image with laughing emoticons at the bottom of the page. 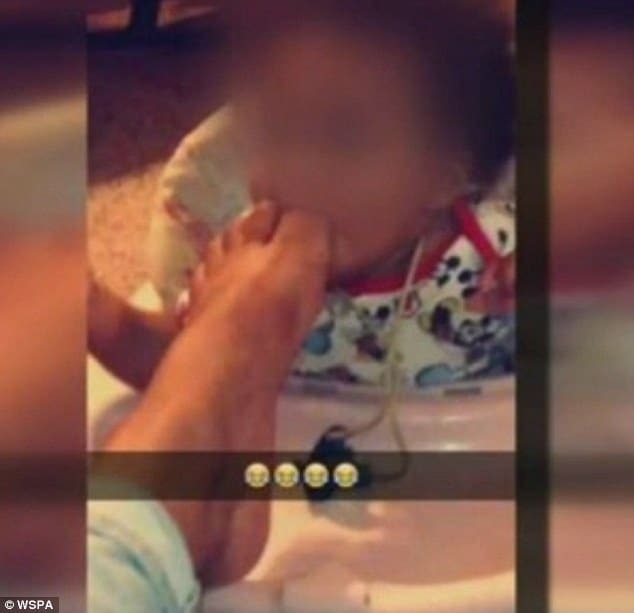 It would later be revealed the teen sticking her toes in the child’s mouth was the friend of the home owner’s daughter. The picture which has since gone viral after it was initially picked up by WSPA, and widely shared via social media has led to outrage and commentators demanding to know how the photo came to be and whether the day care center at which the photo was taken was legal. 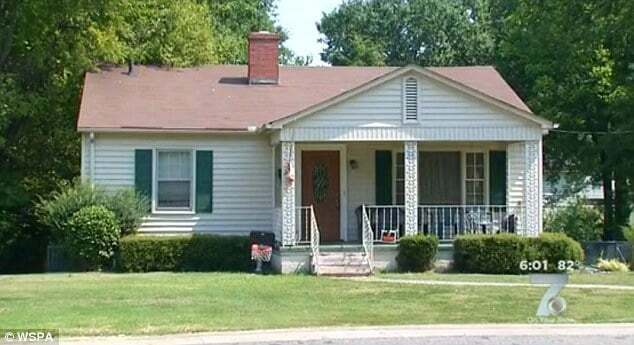 According to WSPA, the image eventually caught the attention of the baby’s parents who in turn notified police with neighbors saying the family living at the address running a day care was not licensed. The image has now led to the local department of social services seeking to find out what happened and to determine whether the homeowners running the day care operation were running an illicit operation? South Carolina law dictates the homeowner would need to be regulated if she were to look after more than one unrelated child at a time. Told family friend, Bridgette Dawkins: ‘It’s just disgusting really. I never thought somebody would do that to a child. ‘Somebody should be apologizing and there should be something done about it. Family members say the caregiver is well-known in the community and came highly recommended. They say she apologized for the incident and didn’t know anything about it until the baby’s mother showed her the picture. The case will now go to the Department of Juvenile Justice, as it involves minors, where a judge will decide if it should go to family court. To date no charges have been pressed.